Legal Talk Network producer Laurence Colletti and ABA Journal legal affairs writer Victor Li interview plenary speaker Andrew Perlman at the 2015 ABA TECHSHOW in Chicago. Perlman discusses how the lawyer’s ethical duty of competence is evolving and what level of technological proficiency is reasonably expected today. He covers the most basic knowledge of Adobe Acrobat, Microsoft Word, and Microsoft Excel to automated document assembly and cybersecurity. 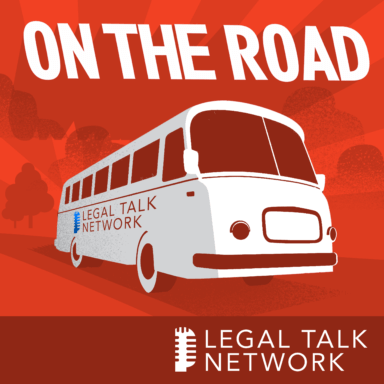 Tune in to hear why lawyers have an ethical responsibility to their clients and how this knowledge can increase success within their practice. Andrew Perlman teaches civil procedure and professional responsibility at Suffolk University Law School where he also directs the Institute on Law Practice Technology and Innovation.